Planning a birthday party can be a very exciting task. You are focused on finding the perfect spot for the party and you are in charge of inviting all of the guests. Not to mention, you are trying to do everything within a budget. To say the least, a lot goes into a birthday party, especially if you are planning it for someone else. Whether you are planning a party for an adult or a child, check off these steps for how to plan a birthday party in order to make your life a little less stressful. How Long Should an Adult Birthday Party Be? How Long Should a Child’s Birthday Party Be? Planning a party for yourself or a friend is easier said than done. There are many different parts of planning that you have to consider months in advance. Whether you are planning a party for your own birthday, or you are helping a friend plan theirs, these steps will help you stay on track throughout the process. You should start with the budget because it impacts almost every detail of the party. Without a budget to begin with, you could end up changing the theme or food options for the party. Remember to try and be realistic about the budget. Your budget doesn’t have to be huge, especially because there are so many DIY decorations and activities you can do for the party. If you are planning your own party you are in luck! You can pick whatever theme that you want. If you are planning the party for someone else, you should consult them if it isn’t a surprise party. From to 20th birthday party themes to 50th birthday party themes there are many to choose from, but whatever you choose, try to make the theme consistent throughout the party. Try to incorporate it into food, decor, and invitations. Picking the date can be tricky, so try to plan in advance. Picking a weekend can be a good option because people will most likely be free of work and other plans. Choose a date far enough in advance so people will be able to mark their calendars. One of the best venues to choose is your own house or backyard. If you have it in your budget and you are celebrating a larger birthday, you should consider holding the party at a separate venue like a restaurant or hotel. If you don’t want to have the party at your own house you can ask a friend if they would be willing to hold the party. If you are planning your own party, it is obvious who you want to invite. However, if you are planning someone else’s party, make sure that you check with them to see who they want on their guest list. Again, this is a good point to factor in for budget. If you are having a lot of people it most likely means you are having more food, more invitations, and more money being spent. If you have a theme for your party, consider making invitations that match to the theme. You can always personalize an invitation to fit the theme. If you are not planning on having a theme, consider using glitter or foil to add extra style to your invitations. Try to include all of the information for the party on the invitation, and send invites out at least a month before the party. Remember, everyone has their on schedule so it can be hard to navigate around busy plans and work. It’s never good to have a party with hungry guests. For a larger party, consider doing your birthday party food options in a buffet style so that everyone can get their own food. It allows people to feed themselves when they want, so you don’t have to worry about it. 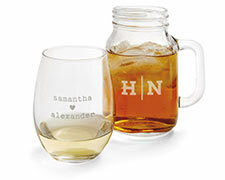 Send your guests away with something to remember the party. For an adult party, you can give out mini bottles of alcohol or personalized cookies that match the theme. You can place them in a basket by the door, or you can hand them out yourself. Once you start planning the birthday party, you might be wondering, how long should the birthday party be? Adult birthday parties tend to be longer events, especially if they are happening at night. People tend to linger or continue dancing into the night. This being said, plan for an event that could last as long as 4 hours. Many times, parents take the lead when planning a child’s birthday party. If your child is old enough to have an opinion on how they want their party to be, make sure you include them in the planning. The same steps for how to plan an adult party also apply here, but with some minor differences. As mentioned before, you should definitely set a budget before you even begin the planning process. Being able to set a budget before planning everything else will help you determine what you can spend from the beginning. As much as you may love a certain theme, make sure to hear your child’s opinion. Have your child pick the theme that they want. Ultimately the birthday party is for them, and it is good to keep that in mind when planning. Once again, try to find a weekend that fits your availability. Not only are people’s weekends easier to work with, but children’s birthday parties are likely to be earlier in the day. You should also communicate with the parents for the RSVP, because most likely the children won’t respond. Most children’s birthday parties are held at a house. A house is a great venue to have children and it’s free. If your budget allows and your child is interested, consider having the party at an arcade or bowling alley. These are fun places to have a birthday party, especially for children. When you are creating a guest list for your child’s party, ask them which of their friends they want to invite. A lot of the time when they are younger, children will want to invite classmates and family members to the party. Just because it’s a child’s birthday party, doesn’t mean that you should send out party invitations late. Try to send out party invites a month or more in advance. Have your child help you customize and create an kids birthday party invitation that they will love. It’s especially important to have activities for kids to keep them entertained during the party. Consider having a scavenger hunt or ring toss for them to do in the backyard. If you are looking for activities, look at our birthday party game ideas. For kids, you can have more interactive food like making your own pizzas or decorating cupcakes. You can also serve different kinds of juice and have water for drinks. You might want to use fun straws that bend or have stripes to jazz up the drinks a little more. Make sure the kids don’t leave the party without a goodie bag. They don’t have to be a super big gift. You can fill a bag with candy or give everyone something small like a bubble wand. Children’s birthday parties tend to be significantly shorter than an adult party. They are only around 2 or 3 hours and are more structured. For example there is time for games, food, presents, and cake. Planning a surprise party can be a daunting task. There are many parts of planning that require a collaboration between the host and the birthday boy or girl. Remember, you can always ask for help! You won’t have the help of whoever the party is for, so you may want to ask another close friend to help you plan. A budget is still needed for a surprise party. In this case, you are the one setting the budget because you are the one throwing it for the birthday boy or girl. You also have the freedom to decide on a theme. Try to pick something that they will really like, or ask for the opinion of other mutual friends. Make sure to find out when the birthday boy or girl is free. You can try to plan a lunch or dinner with them and have them meet you at the venue of the party. Once again, the venue is up to you. Having it at your house is the perfect way to surprise the birthday boy or girl. Have them meet you for an “outing” and once they come inside they will see the surprise. The guest list for a surprise party is a little trickier than other parties, because you won’t have complete insight of who should be invited. Try to decide if they will want to have their family there. If you think they are more shy, you should plan a smaller party. If they are more outgoing, and it fits your budget, feel free to invite more people. Again, send out invitations at least a month or more in advance. Make sure you tell the birthday boy or girl to mark their calendar for whatever excuse you choose to give them. Most importantly, on the invitation, remind everyone that it’s a surprise party so nobody spoils it! When mentioning the time of the party, plan it so the guests arrive an hour earlier than the guest of honor. Food should be the same as it is for other parties. Think about what the birthday boy or girl would like to eat best. Serving drinks and having dessert will also be a nice surprise for them. Even for a surprise party, it is proper etiquette to still have party favors. 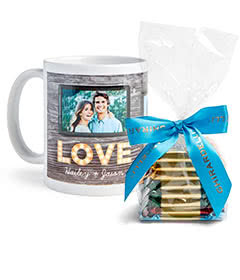 You can link the theme of the party or the age of the person to the party favors. Having a bag of custom m&ms for guests, or a cookie with the birthday boy or girls age on it is perfect. Planning is a lot of work, especially if you are planning a party for someone else. While it may require a lot of effort, everyone at the party will greatly appreciate all of the work done. Remember, you aren’t in this alone, and you can always ask for extra help.